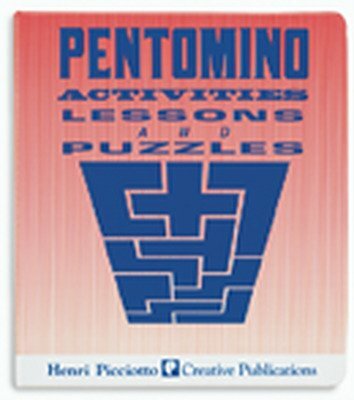 Pentomino Activities, Lessons, and Puzzles contains more than 250 hands-on activities, lessons, and puzzles to challenge students' logical thinking, spatial perception, and geometry skills. Teaching suggestions, cross references, and graph paper masters are included in a handy, reproducible binder. Pentominoes are a set of the 12 shapes made by connecting five squares. Containing only right angles, students who have difficulty with Tangrams' varying angles often find them easier to use. Each manipulative set contains 12 shapes in the following colors: red, blue, yellow, or green.